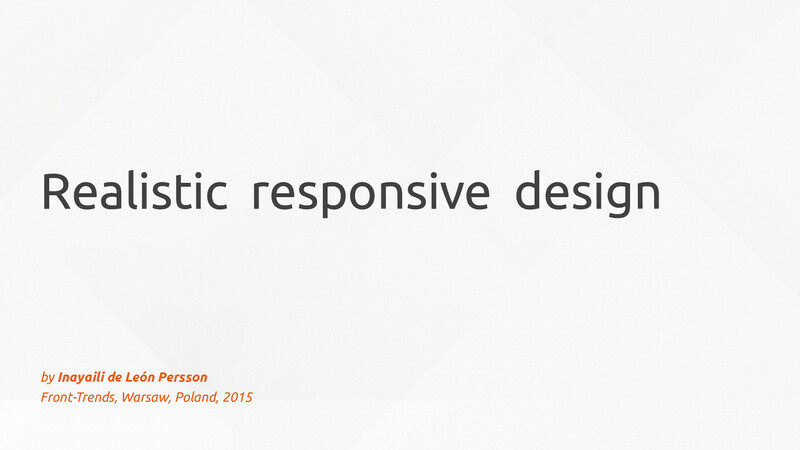 View Realistic responsive design on Notist. In an ideal scenario, when you’re going to convert a non-responsive site into a responsive one, you start from scratch and do everything right and perfectly from the beginning. But where’s the challenge in that? In reality, starting from scratch is just not practical or possible for many projects, so what can we do to overcome some of the most common obstacles and still get to that elusive, mobile-first, responsive site? In this talk, I’ll go behind the scenes through the nitty-gritty of a real world responsive retrofitting project, and give handy tips that can be put in practice by other teams facing similar challenges.